Yealink SIP-T49G IP Phone | 8x8, Inc. The SIP-T49G business media phone unifies video and voice, in a simple-to-use communications tool. 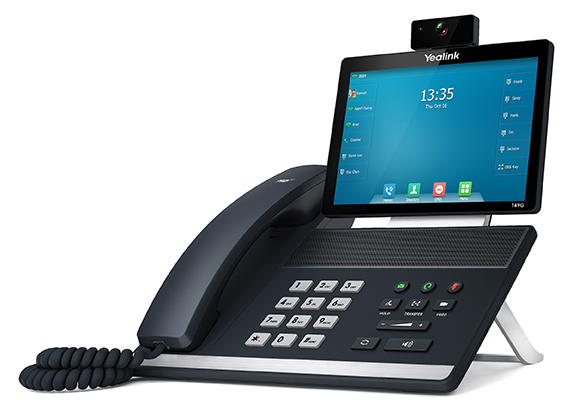 With an intuitive touch screen interface, video calls on the Yealink SIP-T49G can be initiated with a single touch. Point-to-point video calls are just like dialing a normal telephone number when used on 8x8 Virtual Office service. And Yealink video phones can participate in multi-party video conferences when connected to 8x8 Virtual Room Service.